Eternal Sonata is one of the few traditional Japanese role-playing games that are available for the PS3. An expanded port of the Xbox 360 game released a year earlier, it presents an interesting premise upon a series of colorful and mostly charming settings with a battle system that manages to not go stale before you save the entire world. 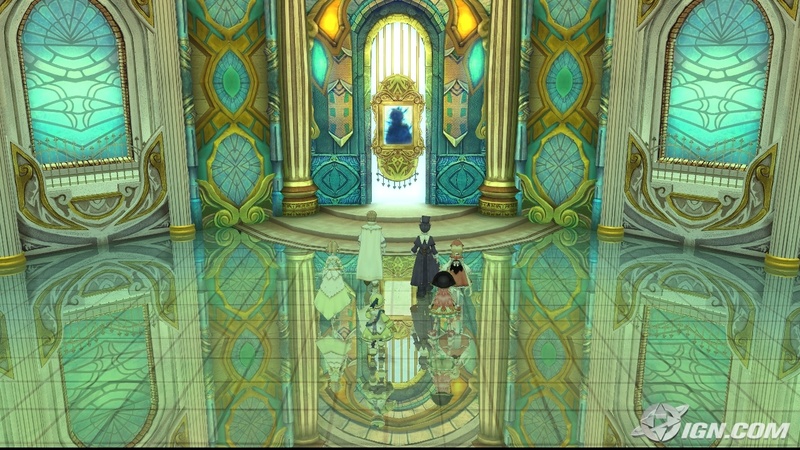 Is it the best JRPG to grace the current-generation consoles? Probably not. Is a good game worth playing? I think so. Read on. 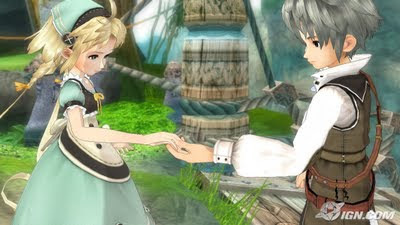 The most inventive facet of Eternal Sonata is its unique premise. You learn very early in the game that the entire scenario is actually taking place in a deathbed dream of one the characters in your party, Frederic Chopin. This scenario would certainly allow for an interesting story involving plot elements related to dreams or music, and this is why I played the game in the first place. But the premise never seems to be taken advantage of in any significant way. All of the characters and settings are named after musical terms, but nothing about the events that occur represent any meaningful relationship to the major elements. That is to say that if you were to rename everyone in the game, there would be nothing that implies musicality. I would not say that the plot is bad: it is easily on par with—and perhaps exceeding in some places—any standard, linear Japanese RPG. It just seems like somewhat of a missed opportunity to explore new ground in the genre. 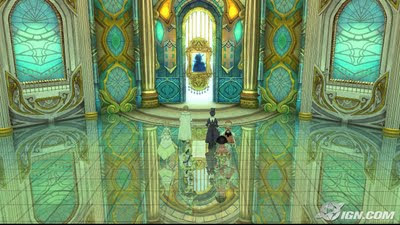 Eternal Sonata’s premise is aided by interludes that occur between its 8 chapters. Each of these features pictures of historical settings and biographical anecdotes about the real-life Frederic Chopin set to a related piece of his music. Personally, I found these parts to be really enjoyable, but sadly they bring the pace of the game to a screeching halt. I couldn’t resist the urge to skip some of these segments when they broke up the flow of the last few chapters of the game. One of my minor complaints with Eternal Sonata centers on the characters in the game. At its beginning, it was easy for me to deal with the fact that a party full of naïve anime tropes would stupidly set out on a journey to try and peaceably convince an evil king to stop being evil. They were silly and fun and quite acceptable. But toward the end of the game, their propensity to engage in unrealistically casual conversations in the face of certain death just started to un-suspend my suspension of disbelief. 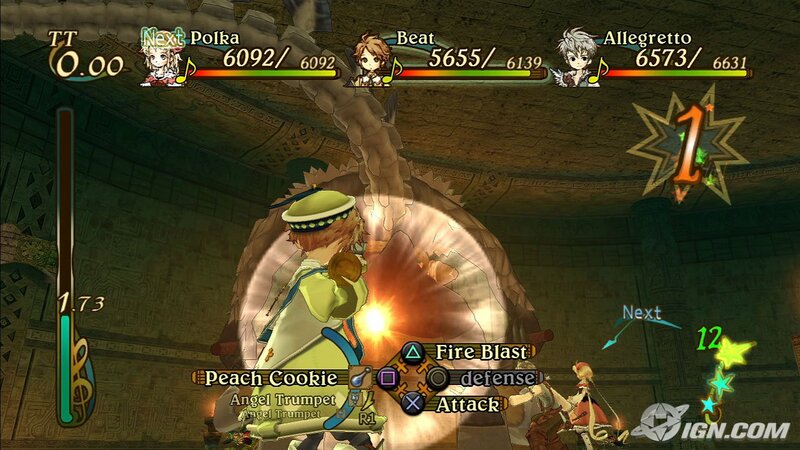 I’ve written before that a role-playing game lives or dies by its battle system, and I must say that the battle system in Eternal Sonata was implemented very, very well. At the beginning of the game, battles consist of a given amount of time per turn in which a player can move about the field and attack as you see fit. But at several intervals during the game, your party level will increase. As this happens, your party gains some new tactical bonus (such as the ability to counterattack), but in return some additional restriction is added to the battle system itself (such as decreased tactical time for planning attacks). This element of the game is much easier observed than explained, but its benefits are twofold. First, the gradual addition of strategic options makes it much easier for a player to grasp the varied possibilities of the battle system. Secondarily, the battle system stays fresh and interesting as you progress through the game. 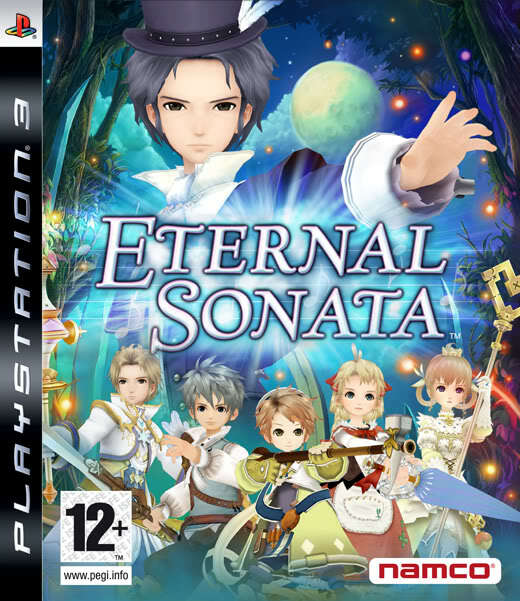 In my opinion, Eternal Sonata offers an exceedingly decent experience. Although the game is expertly crafted in nearly every way, something about it left me a little underwhelmed. My best guess is that the generic characters and slow-paced portions of the plot created a formidable one-two punch that knocked the wind out of the game in the last part of the middle sections. Yet the excellence of the game as a whole warrants some attention. Whether or not it’s 30-hours of attention is up to you.